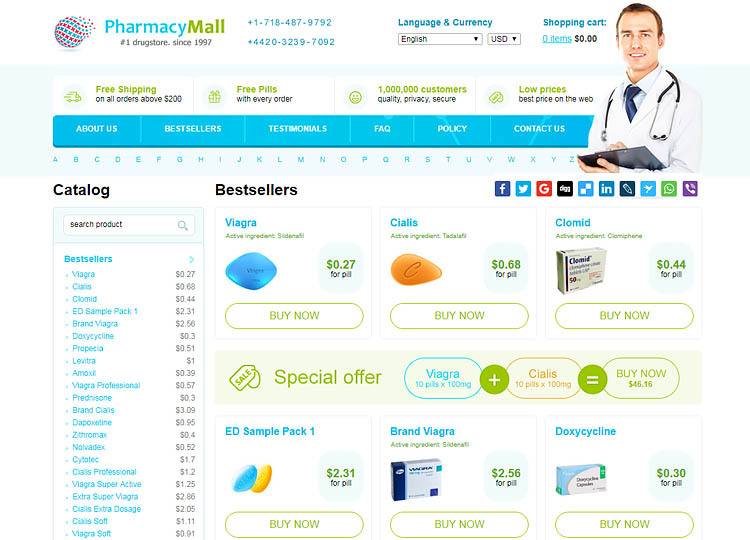 The internet is now awash with numerous online pharmacies and health stores. 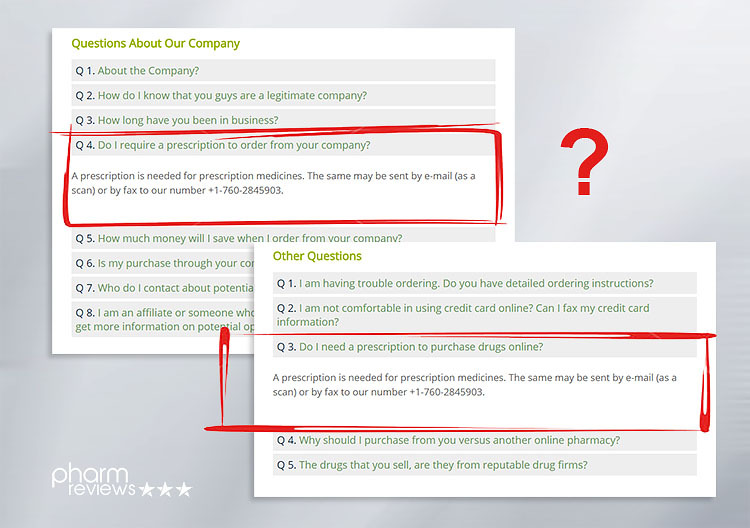 Just like any other online market niche, some pharmacies are genuine while others are fraudulent. However, a worrying trend is fast gaining traction where online health stores that were once genuine are now adopting rogue tendencies to attract more customers and make more money. One good example is alldaychemist.com, which was once a reputable pharmacy that has now turned into a rogue drugstore. Here is a comprehensive analysis of this site. 2.1 Is Alldaychemist.com a scam? 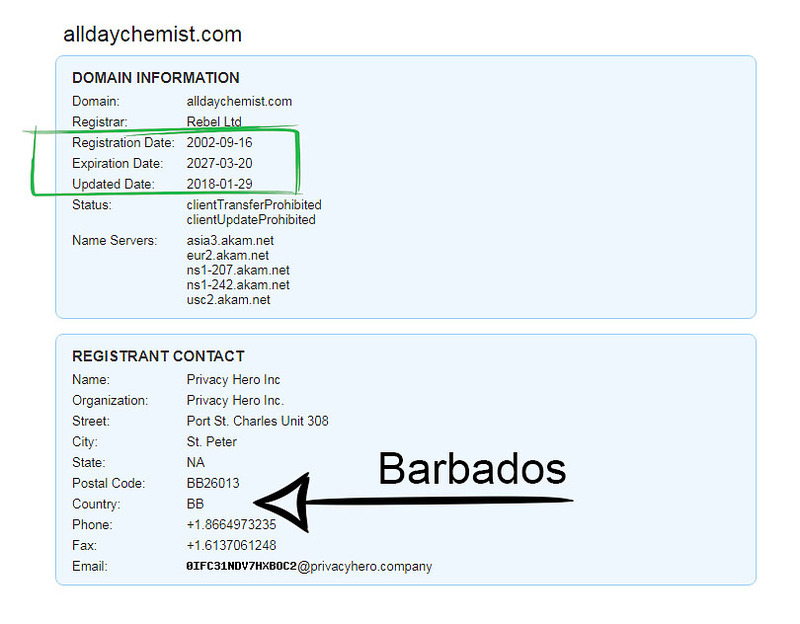 This domain was registered in September 2002 by Privacy Hero Inc, which is a company based in Barbados. However, the website is based in the Netherlands. The difference in locations is not a big issue considering that the internet makes everything possible. The owner could be in Barbados while the site is hosted in the Netherlands. This site seems to be genuine considering the fact that it is not associated with any illegal affiliate programs. 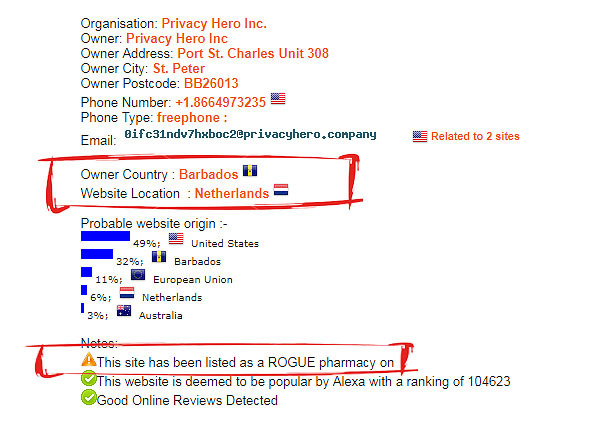 However, as an assessment of this site using scamadviser.com shows that the pharmacy has been listed as rogue. This is a possible indication that the pharmacy could be engaging in deceptive business practices to attract more customers. 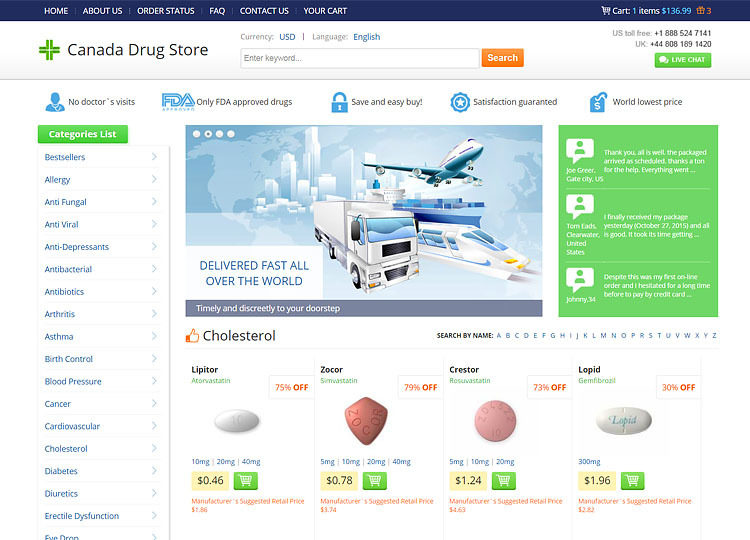 The web platform of this pharmacy is simple and easy to use. Clients are expected to register to enjoy numerous benefits such as priority support and special offers. 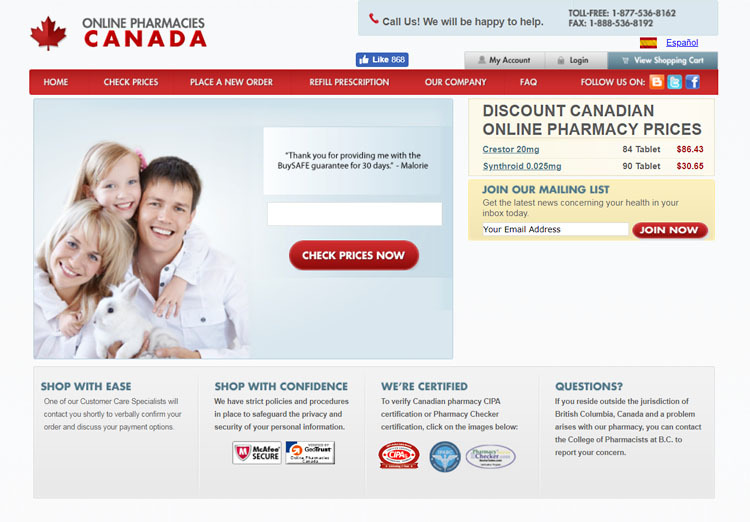 However, we advise clients not to add their phone numbers when registering to avoid spam calls from this pharmacy. This pharmacy goes by name “AllDayChemist” as its registered business name. However, we cannot ascertain the validity of this business name as it is not registered anywhere. One way of establishing if a pharmacy is genuine is by checking if they have legal approvals or certifications from various regulatory agencies. 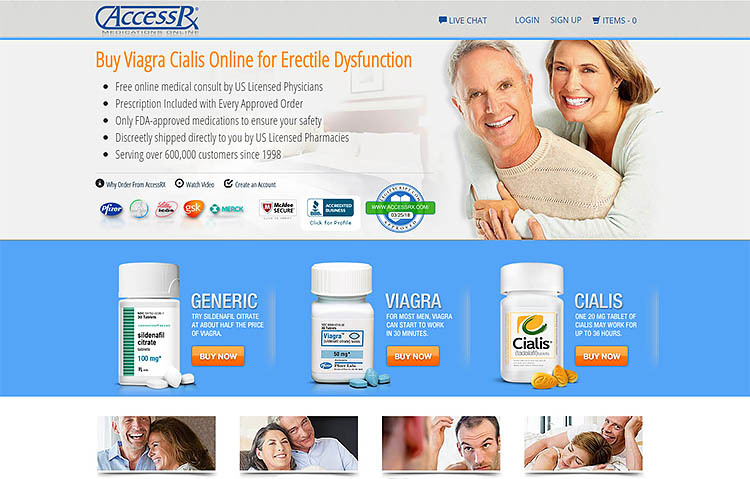 Unfortunately, this online pharmacy does not have any legal approvals or certifications. Without a valid license, this pharmacy lacks the legal mandate to operate. The fact that this pharmacy does not have a valid license further affirms our suspicions. Potential clients should proceed with caution when dealing with this site. 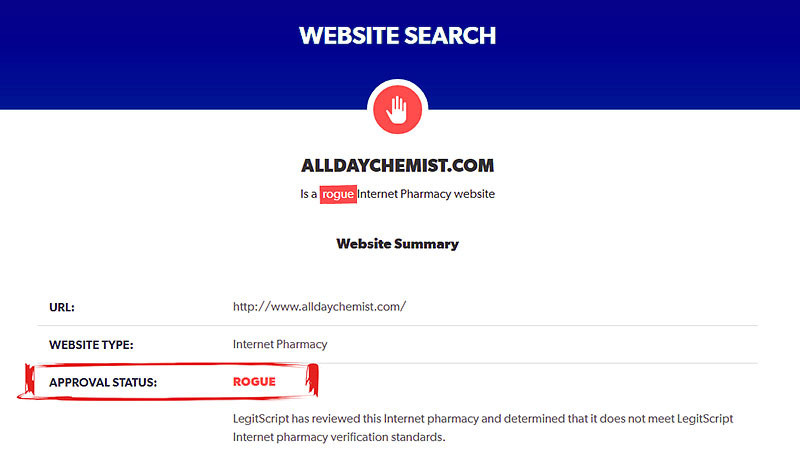 A comprehensive search on legitscript.com reveals that this health store has been flagged as rogue. The reason for this is that the pharmacy does not comply with the minimum verification requirements. This pharmacy deals in a wide selection of medications and supplements ranging from acid reducer to women health products. However, some of the most popular medications revolve around sexual health products and eye care products. 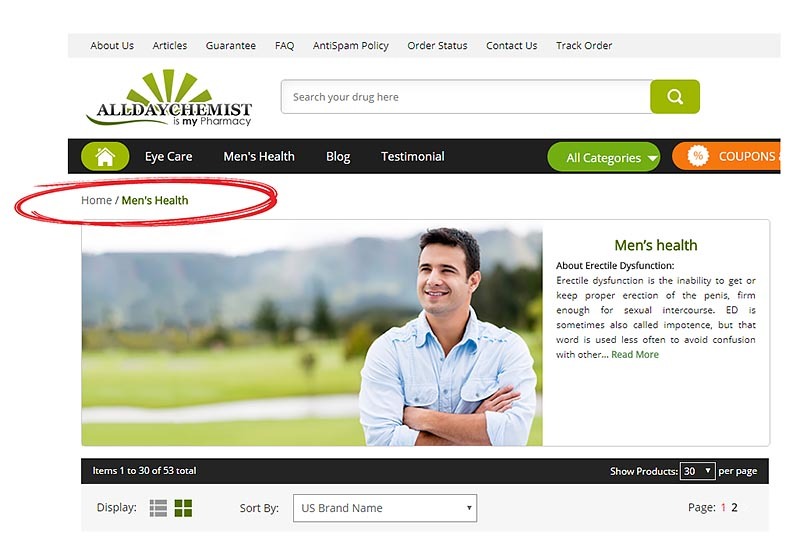 In fact, these two categories have their own web pages, meaning that the pharmacy pays more attention to these products. Our investigations reveal that most of the medications available on this platform are sourced from India, where the pharmacy has its warehouses. According to the pharmacy’s policies, all clients must submit a prescription from a registered doctor before buying any drug. However, we found out that this is not the case as our investigations reveal that anyone can purchase drugs without using a prescription. Purchasing RX drugs without a prescription is in violation of the minimum requirements for the dispensation of controlled drugs and substances. It is therefore not surprising that this online chemist has been listed as rogue by several agencies. This drugstore offers medications at prices lower than the normal market price. This makes this pharmacy popular with clients who want to cut down on medical costs. For some reason, this pharmacy does not accept credit card payments. This is rather inconvenient considering that most people prefer this mode of payment. The only acceptable methods include bank wire transfer, e-check, and Bitcoins. Furthermore, you must be a registered customer in order to checkout. The pharmacy charges a flat rate of $10 for shipping via standard airmail. For tracking services, clients have to pay an extra $5, bringing the total shipping cost to $15. All shipments come from India and delivery times depend on the destination address. According to most customers on this platform, shipping is extremely slow and may take 10 – 25 days. 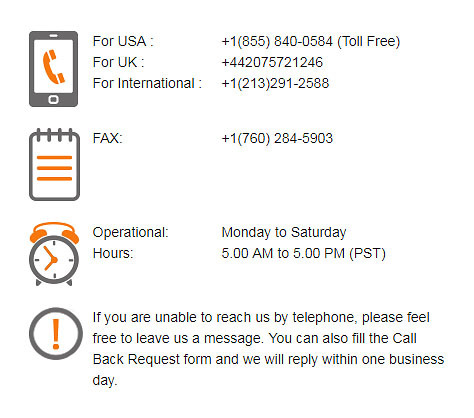 The pharmacy provides customer support services via email and phone only. Live Chat is not available. However, clients have to endure tons of spam calls immediately after contacting support. The pharmacy is known to constantly call its customers in a bid to talk them into buying other products. This is not only an unprofessional way of handling customers, but also a violation of the clients’ privacy. 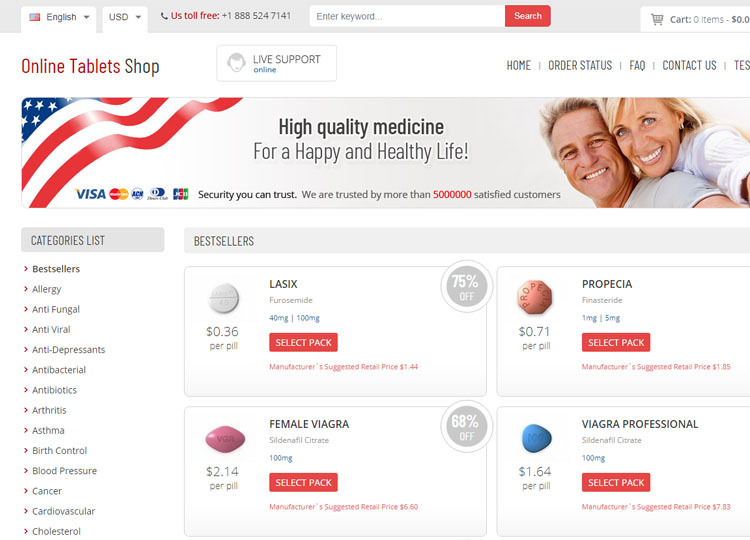 This internet pharmacy has all sorts of customer reviews, ranging from positive to negative. However, many clients seem divided on how to rate the pharmacy. While the pharmacy seems genuine, the high number of spam calls and lack of privacy leaves many customers disappointed. Here are some of the reviews. 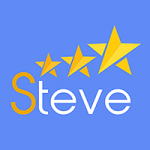 One review from a customer named Stella suggests that this pharmacy offers exceptional services. She states that she was very pleased with the services she received and would recommend the pharmacy to anyone looking for a genuine online pharmacy. Another positive feedback comes from a customer named as Dewey. The customer was pleased with the services and pricing of medications, but was disappointed by the numerous spam calls. A verified customer identified as Art was happy with the service, but had issues with the quality of products available on this platform. According to this customer, the product quality is inconsistent and some do not work as expected. Contrary to Art’s review, Elie Balas was happy about the quality of the medications and pricing, but sad about the slow service. According to Stephen L who is a frequent customer, ADC used to be a good company with exceptional services. However, things seem to have taken a turn for the worst as these exceptional services no longer exist. Orders disappear mysteriously, and the company does not bother to reship or refund customers. Other customers are unhappy with the slow shipping of orders. According to some clients, this pharmacy offers poor customer service and the support representatives have poor communications skills. 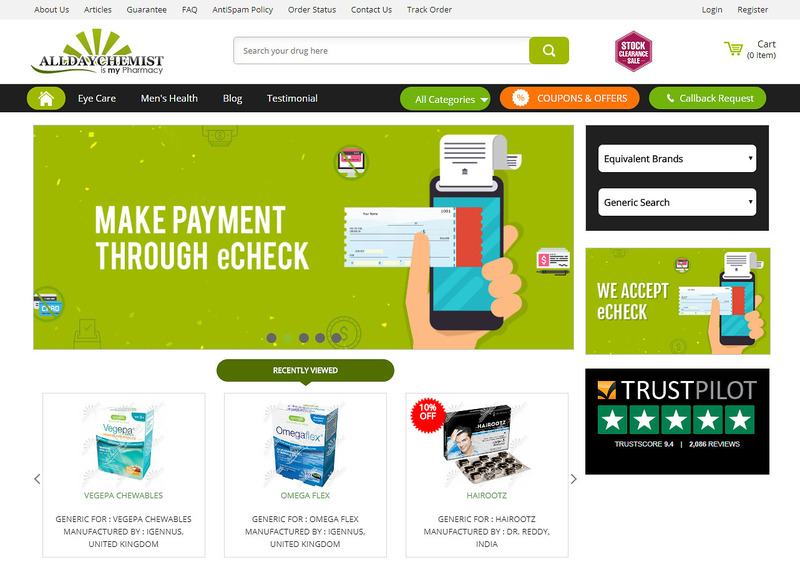 This online chemist has been listed as rogue by various regulatory bodies. This simply means that it ought to be rated as a scam. The pharmacy belongs to a long list of rogue online drugstores that employ deceptive business practices to take advantage of innocent patients. Before buying drugs from any online pharmacy, it is always a good idea to carry out a comprehensive background check on the operations of the pharmacy. This review reveals a lot of information about AllDayChemist. It is clear that the pharmacy is not entirely genuine and does not care about their clients. All they care about is making money, as suggested by the numerous spam calls the pharmacy subjects its customers to. Although not associated with any illegal affiliate program, the fact that it is listed as rogue raises questions about its legitimacy. For this reason, this pharmacy only deserves a 1.7 out 5-star rating. All-day chemist is a scam. Fraudulent practices of taking US credit card data and high resolution scans of passport and driver’s license for identity theft. Never delivers goods and strings customer along for weeks forcing customer to release credit card and Id info. This impacts millions, especially the vulnerable, elderly and Ill.
We fully agree with you! Those are key issues that’s why we can conclude they are really a rogue pharmacy!